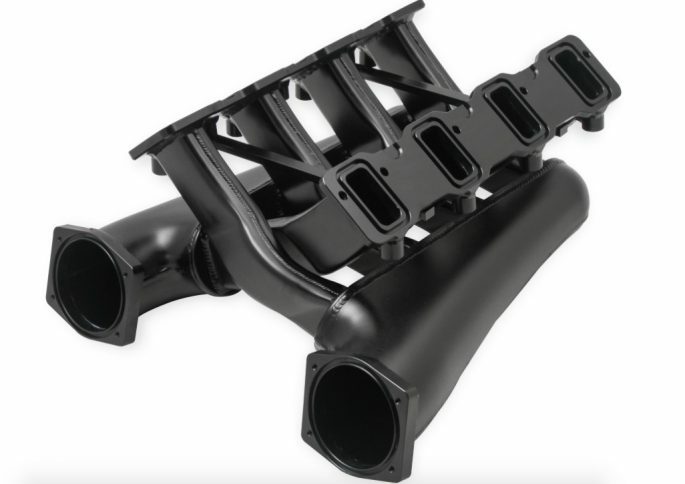 Sniper EFI Dual Plenum Intake Manifolds Are Functional Sculpture – Check These Out! 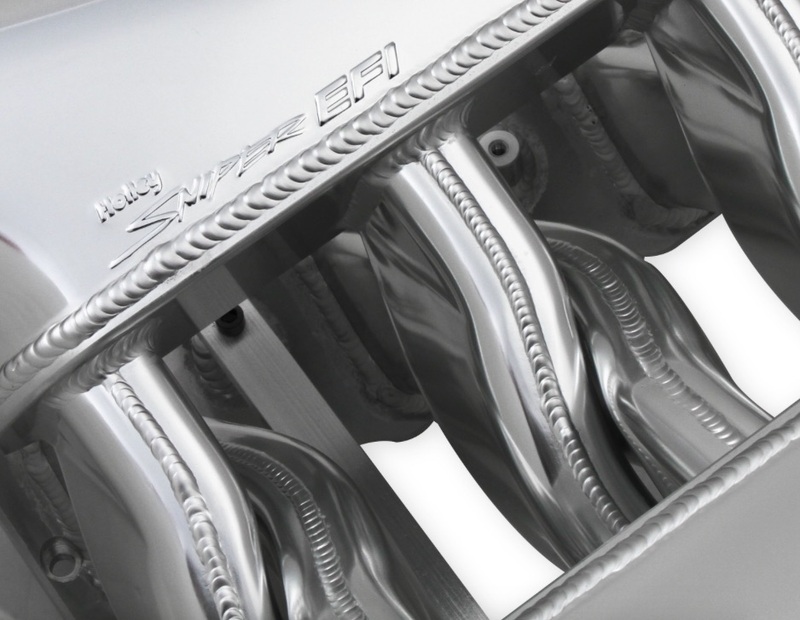 These new Holley Sniper EFI dual plenum intake manifolds are functional sculpture, seriously. Not only do they have the dramatic looks that any hot rodder would love to have under the hood, they are also engineered to make power and the company has the dyno sheets to prove it. With one plenum per bank of cylinders, Holley engineers worked hard to not only work on the look of the design but its function. The tapered nature of each plenum means that all four runners per side are getting equally distributed air which will mean a happy engine and more horsepower. The long runner design means more torque down low and the plenum design is ideal for anyone running turbos. Naturally aspirated engines benefit from the design as well. These are 100% TiG welded and work as good as they look. 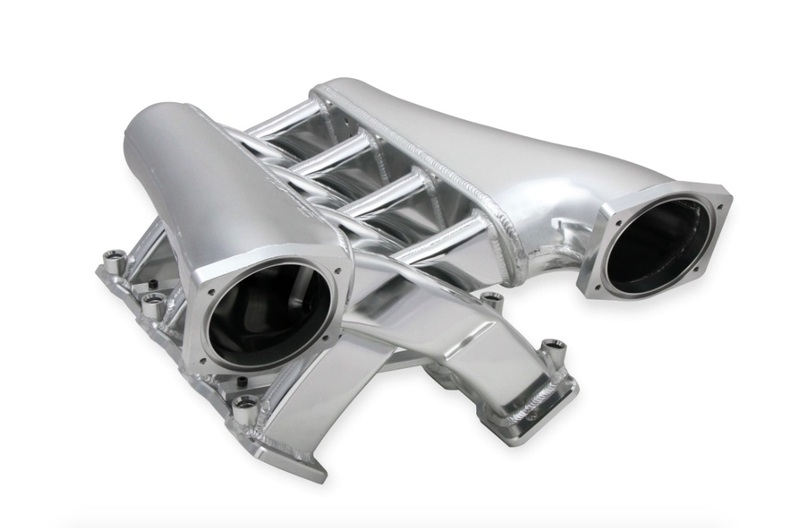 Holley/MSD is pleased to announce the release of Sniper EFI Dual Plenum Intake Manifolds. Developed specifically for LS engines and available for both cathedral-port and rectangular-port cylinder heads, they feature dual plenums and dual throttle bodies in a unique, innovative design. One tapered plenum accommodates one entire bank of cylinders; the other plenum feeds the other side. This means the entire volume of incoming air in each plenum is distributed to just four cylinders, with the tapered shape increasing the air velocity directed to each intake runner. It simultaneously solves two problems common to lesser intakes: increased airflow and even dispersion to all intake ports. 100% TIG-welded, Sniper EFI Dual Plenum Intake Manifolds are perfect for naturally aspirated setups and twin-turbo applications that need to build torque from low- to mid-range all the way to 7,500 RPM and beyond. Their extremely long runners (12.75”) develop plenty of low-end torque and, coupled with the dual plenums and throttle bodies, boost power across the entire RPM spectrum. They’re available for both LS1/2/6 engines and LS3/L92s and come in your choice of a silver or black-anodized finish and your choice of a 92mm or 102mm throttle-body opening. For complete product details for the complete line of Sniper EFI LS Dual Plenum Intake Manifolds, click here. Would look great on top of a new Rocket Racing Olds Block with Wenzler Heads . .